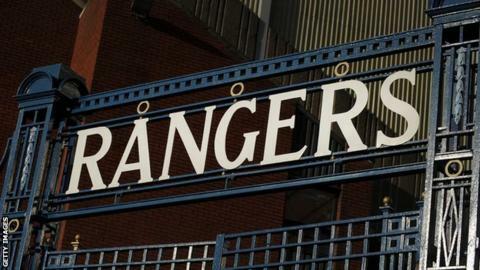 The Scottish Professional Football League board is considering pursuing Rangers for £250,000. The amount relates to a fine levied by an independent Scottish Premier League commission on Rangers Football Club PLC's (RFC PLC) use of a tax scheme. SPFL lawyers examined recovering the money under an agreement that led to the transfer of Rangers' membership of the Scottish FA going ahead. Any claim to the company's liquidator would likely yield a smaller amount. Liquidator BDO is in the process of examining claims of creditors of RFC PLC. As such, the SPFL board has decided it is reasonable to try to pursue the full amount from The Rangers Football Club Ltd under the terms of the deal known as the Five-Way Agreement, although no timescale has been set as to when to do this. The SPFL declined to comment on the situation when asked by BBC Scotland. The Five-Way Agreement gave the football authorities power to recover football debts from the new owners of the Ibrox club. A condition of the transfer of the club's Scottish Football Association licence was the payment of all football debts. In a financial report produced by the administrator, Duff & Phelps, several clubs in Scotland, England and Europe were listed as being owed funds. The company's former chief executive, Charles Green, claimed last August that those debts have been settled. In February, Rangers Football Club PLC was fined £250,000 by the Lord Nimmo Smith-chaired SPL commission after it found that payments from its Employee Benefit Trust scheme were not disclosed to the football authorities. The commission found that the company's management did not take professional advice on disclosing the payments. The findings also stated that the current owners should not be held responsible for any breaches made by the previous company. The investigation relates to the period between 2000-11 when Rangers operated the tax benefit scheme, which was also the subject of a long-running tax tribunal.